We work on all brands of computers. Even the ones that are self branded.... Our employees at Geeks R Us CARE about saving your data and actually REPAIRING your computer! Give us a shot, you won't regret it! When your computer gets a virus, we work hard to keep your data! Only 2% of our virus removal customers require a full restore! Let us Geek your computer up!!!! Need us to setup your Home Network? Call us TODAY and see why people love our services! If you get either a yellow light or red light on either of these machines, it's bad news.....for the momment....bring it in to Geeks R Us Affordable Computer Repair, and we get get your console back to you like new! 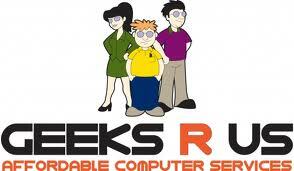 Geeks R Us Affordable Computer Repair offers Website Services in Whittier CA and Website Services in Corona CA servicing surrounding areas as well. We can create your website from beginning to end and help you promote it! See why so many choose Geeks R Us! Rob K on Give us your feedback! Robert Delgado on Give us your feedback! Robin on Give us your feedback!